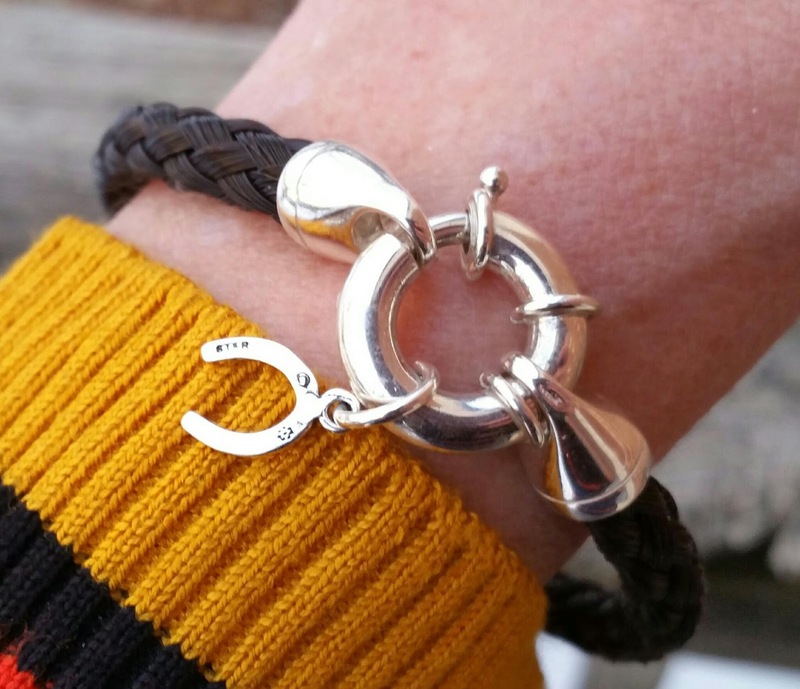 Behind the Bit: Harvey hair bracelet from Ponylocks! 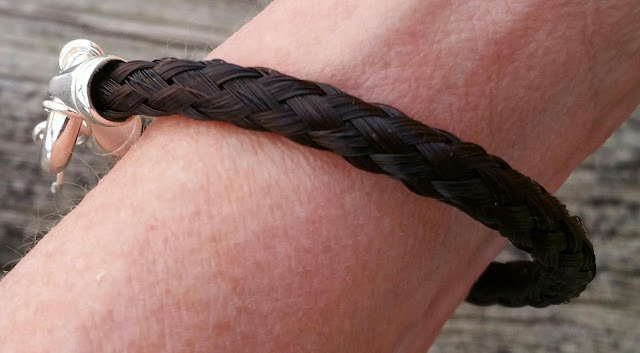 Harvey hair bracelet from Ponylocks! 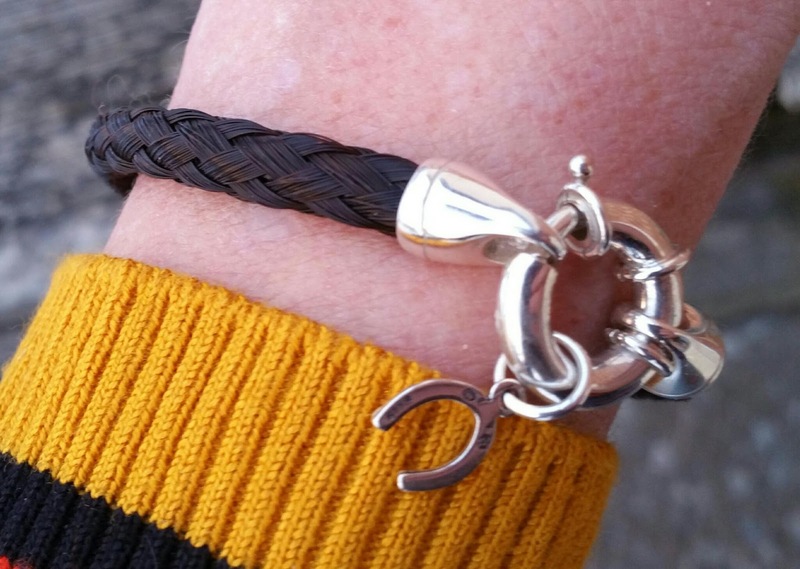 Thanks to Pony Locks (ponylocks.com)for this lovely bracelet, made with Harvey's tail hair. It is just gorgeous, and in a middle price range, I think about $70 with a few options like the charm and my desired clasp.